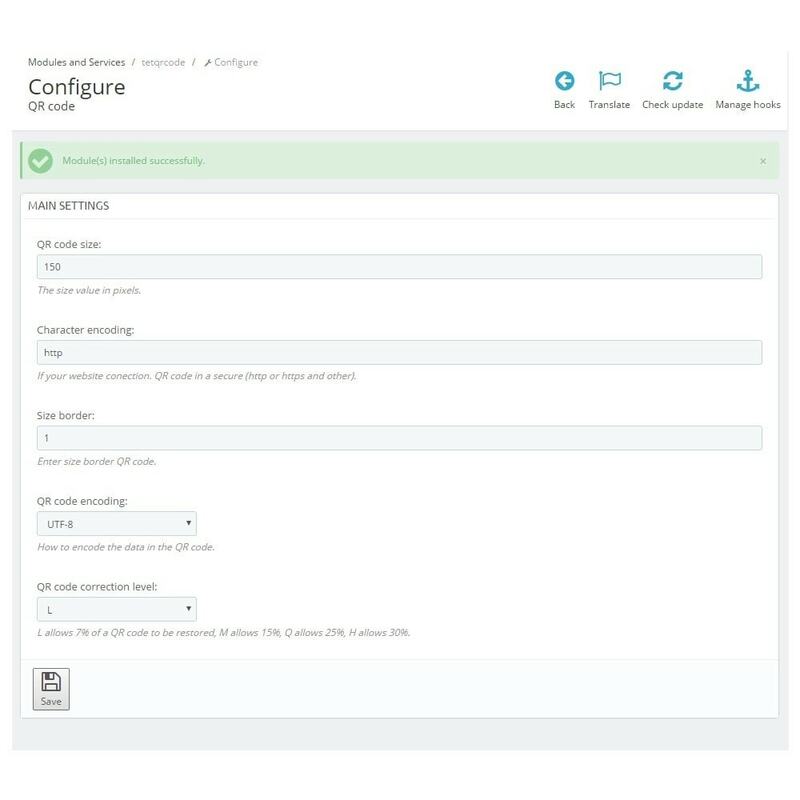 This module allows to you to add QR Code on your column or product page. 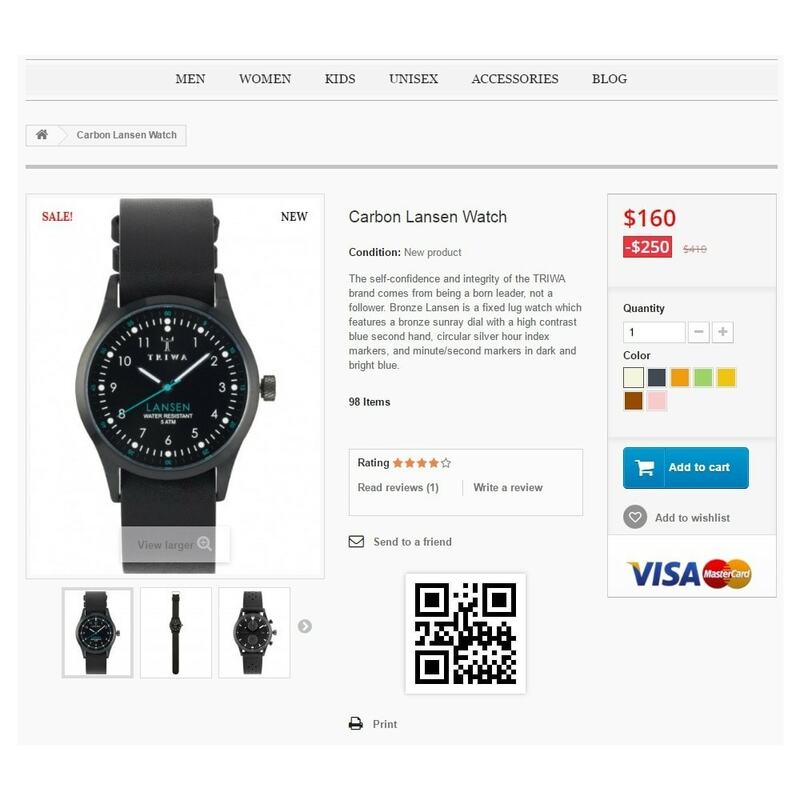 This module adds QR Code bar generated through Google API, at all your products ? QR code is encoded as product link. With this module you can Increase mobile traffic and improve your conversion rate thanks to QR Codes! 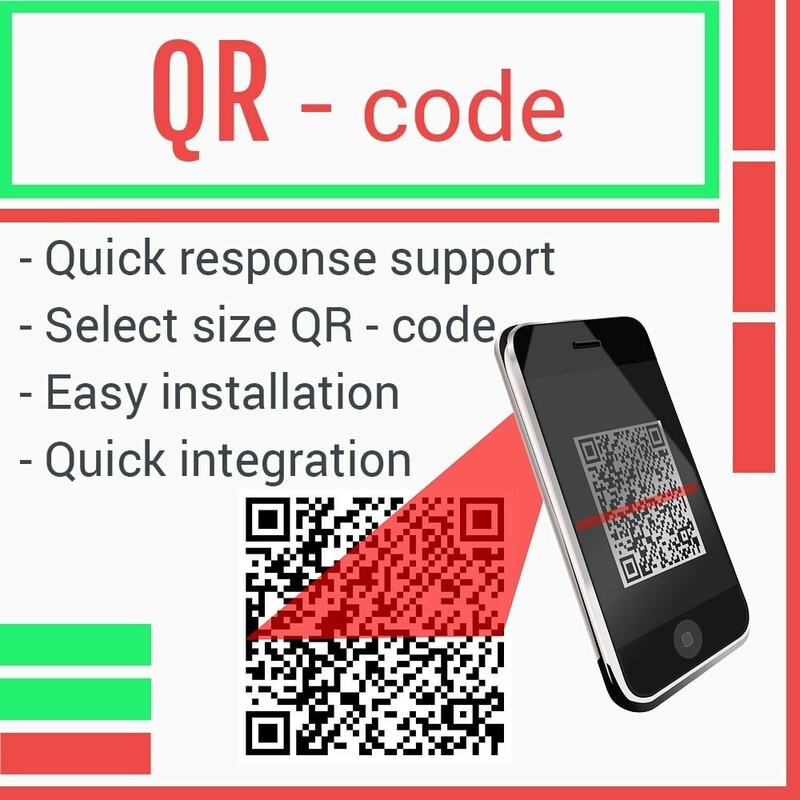 This module is going to allow your customers to consult quickly on their mobile your product pages by scanning the QR Code generated. It's absolutely free. Just install and get going. This is a very simple to use. So it helps to improve your online Prestashop store and make it more professional, usability and friendly. QR code bar size. Present product?s URL or your own text to encode.